CONTEST CLOSED--WINNERS TO BE ANNOUNCED THIS WEEK. I&apos;m new at the lunch box thing. For some of your the monotony of packing meals for the kiddies may be drudgery--so I&apos;m here to rescue newbies and old hands alike. Beth Ann Bentley, from iLunch has heaps of ideas when it comes to mixing and fixing lunches. And my friends at Oompa are helping to keep lunchtime fun. Make a plan. Consult your gang and write up a menu for the week...shop to the plan! Make things in bulk and freeze them. Stock up on healthy snacks.Don&apos;t forget things like freezer packs (Momtrends loves the Fit & Fresh Smart Portion 1 Cup Chill Set)and water bottles. Think fresh! 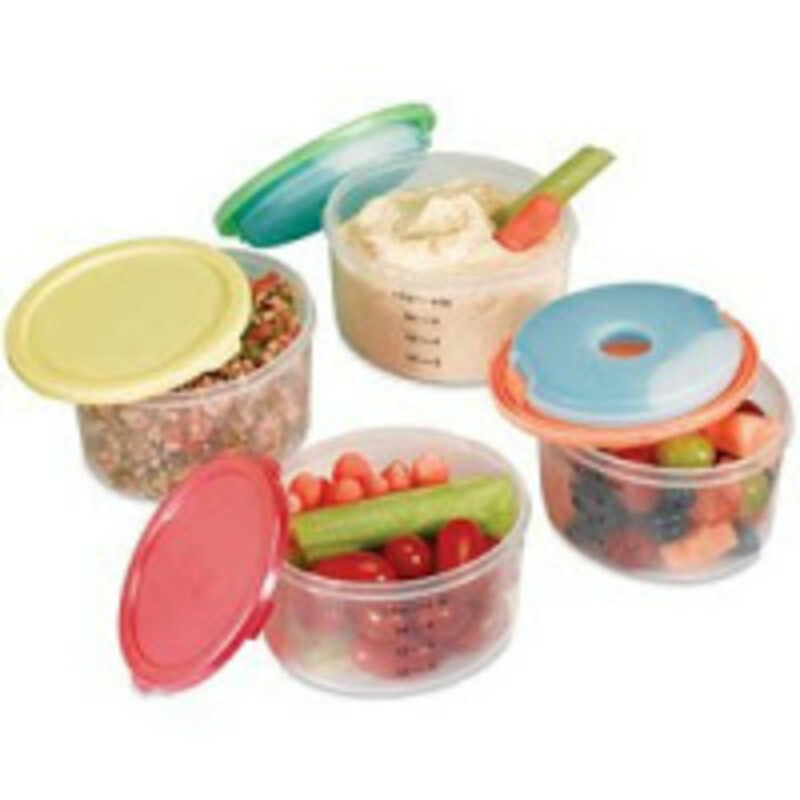 pasta and rice salads (stash them in a Fit & Fresh Salad Shaker); fruits; homemade cereal bars. (click here for recipes). And here&apos;s a great tip from Momtrends: Have your preschool practice opening their lunch up ON THEIR OWN. This way you&apos;ll know if your kid can master the thermos, the bags, the tinfoil, etc. making them more independent. Nothing is more frustrating for a kid than being hungry and not being able to get to their food. 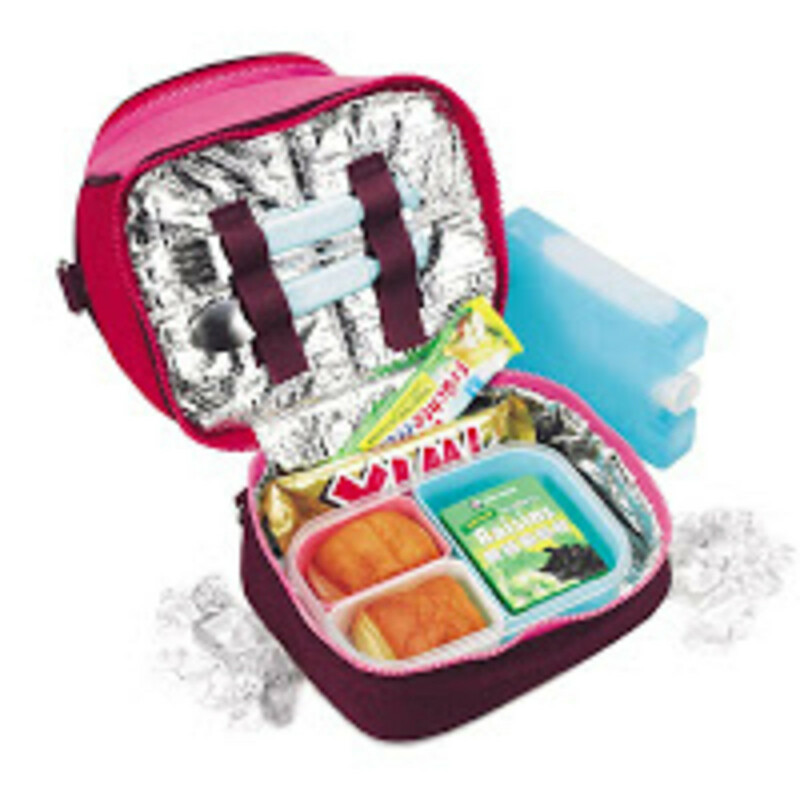 Of course you&apos;re going to need a cool lunch box that gets your kid excited to eat PB&J. ; My resource of choice: Oompa Toys. Don&apos;t be misled--this site is packed with more than awesome toys. They&apos;ve got great accessories and gear too. Win a NEW Lunch Bag from Oompa Toys. Here&apos;s how the contest works: Click Here to visit Oompa Toys&apos; Lunch Box Selection. After you&apos;re done drooling over the offerings (and maybe shopping a bit!) come back here and leave a comment telling me your favorite bag. The winner will be drawn at random to win a LUNCH BAG OF YOUR CHOICE FROM THE OOMPA SITE (value up to $25). One entry per email address. Contest ends 8/31/08. I&apos;m willing to splash out a bit and spend $32.99 for this Allerhand lunch bag. My 3 y.o. liked the big opening and easy-to-use zipper. She could get to everything she needed on her own. I&apos;m keen on the double-layer insulation and well organized bottom compartment (see picture right). Pick from four colors. And I have to add a note here. I just visited an AMAZING blog: lunchinabox.net. This mom is a master of packing inventive and delicious lunchboxes. She takes her inspiration from the Japanese bento box, but don&apos;t be scared off--many of her ideas are sweet and simple.